Hi,about Super Heroine Chronicle,I have extracted this. 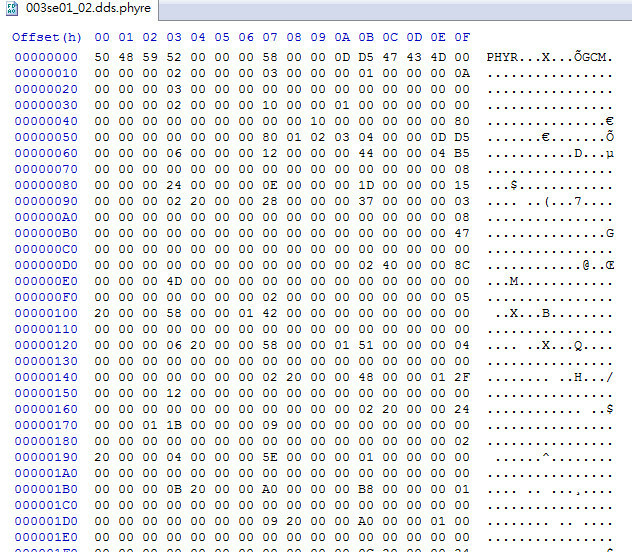 The game contain *.cpk file, it's can't use cpk.bms to extract,but using Noesis can extract. Images file is *.phyre file, so i don't know convert to *.dds. Now i just use TextureFinder to see image. So i want to know how to batch convert to *.dds or others. I have try to it but it didn't work with "003se01_03.dds.phyre"
Can you work 'exhappyend' with "003se01_03.dds.phyre"
Otherwise,it is my using step wrong. Could not open (No such file or directory)"
so it can't work Super Heroine Chronicle.